Sylan Solid Surface is a luxuriously strong and durable acrylic material that simply demands to be touched. And, here too, our obsessive attention to detail is in evidence. Or, rather, it isn’t. Because the production process bonds so exactly that edges virtually disappear. Giving us the edge. 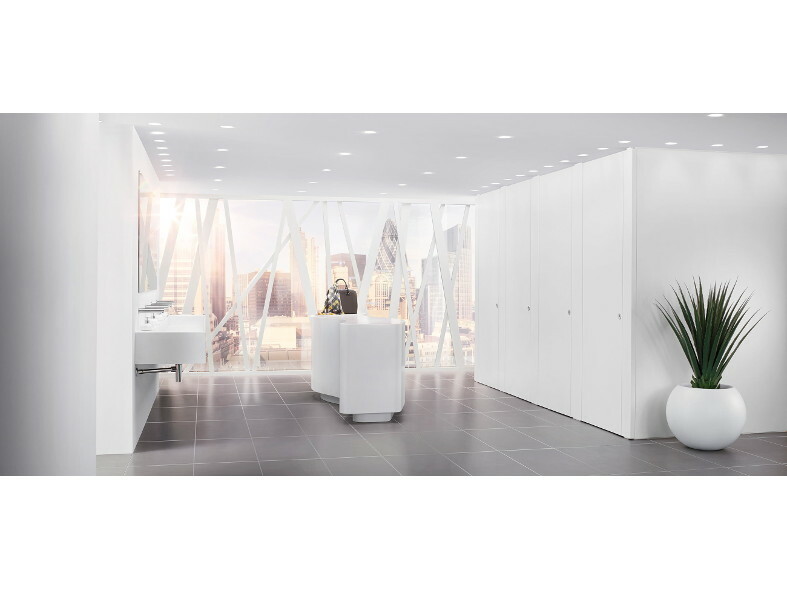 For a truly luxurious, bespoke, commercial washroom, matching Solid Surface commercial vanity units can also be specified to accompany your stunning Sylan Solid Surface toilet cubicles.